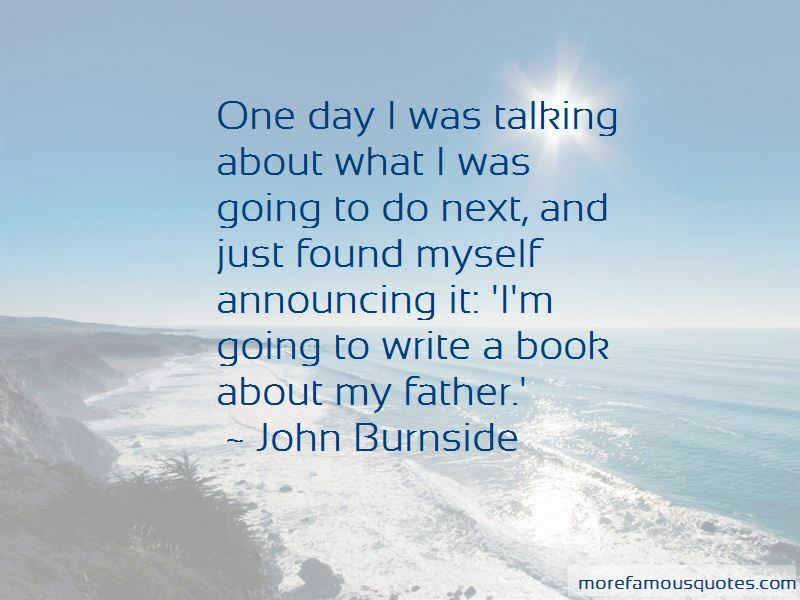 Enjoy the top 117 famous quotes, sayings and quotations by John Burnside. The definition of a page-turner really aught to be that this page is so good, you can't bear to leave it behind, but then the next page is there and it might be just as amazing as this one. I want to venture a hypothesis that, roughly expressed, goes like this: you cannot learn to love yourself until you find something in the world to love; no matter what it is. A dog, a garden, a tree,a flight of birds, a friend ... Because what we love in ourselves is ourselves loving. like that voice, in myself, of another. If nature offers no home, then we must make a home one way or another. The only question is how. It takes a true encounter to realise that real animals, wild animals, have all but passed from our lives. 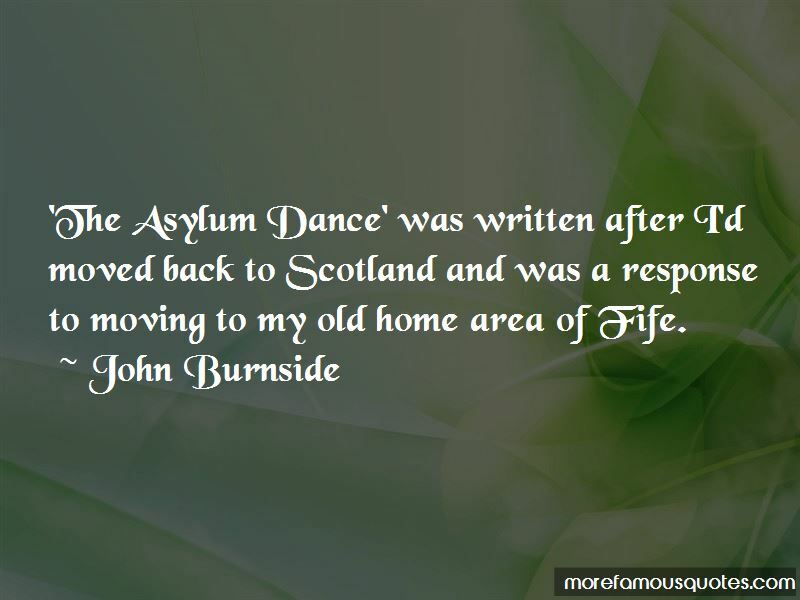 'The Asylum Dance' was written after I'd moved back to Scotland and was a response to moving to my old home area of Fife. 'The Gardener' is more than a marvellous collection of images by a master photographer. The only pleasure in redecorating or moving house comes from stumbling across books that I'd almost forgotten I owned. As a child, I read a great many books in which animals and birds played significant roles, not only in the narrative itself, but also in creating the emotional and psychological atmosphere of that narrative - the imaginative furniture, as it were, in which any story unfolds. When I was ten years old, my family left a cold, damp prefab in West Fife and moved to Corby, Northamptonshire, where my father quickly found work at what was then the Stewarts & Lloyds steelworks. 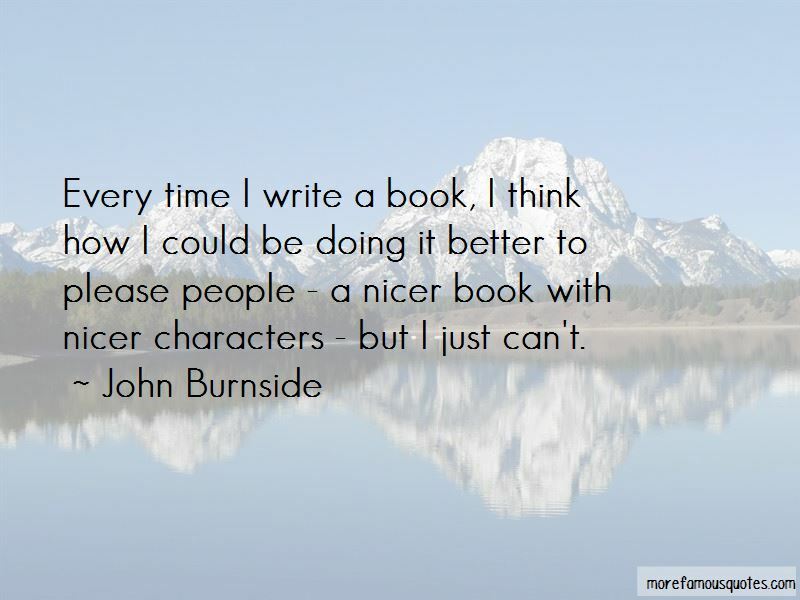 Want to see more pictures of John Burnside quotes? 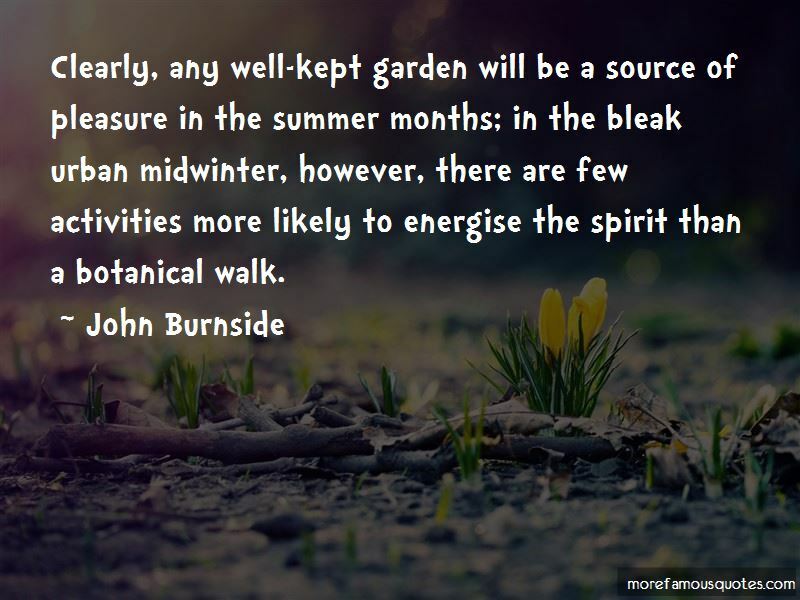 Click on image of John Burnside quotes to view full size.